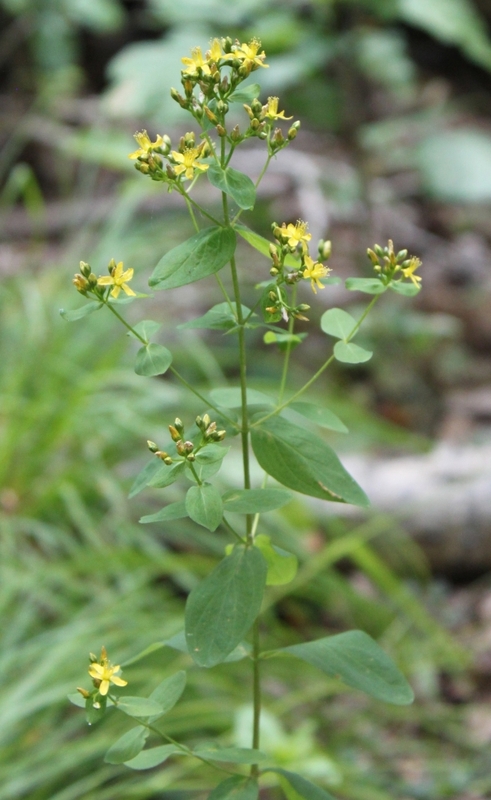 Similar to Comon St. Johnswort but flowers smaller. Height 10 20 in.. Unbranched stems. Wet woods behind Big Rapids high School.